Following the move of Pete Lothes to President and CTO of Satisloh globally, Richard Hughes takes over as President Satisloh North America, effective January 1. 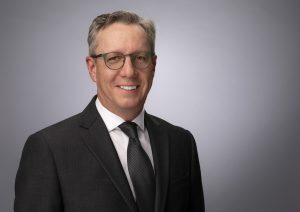 Hughes began his 22 year optical industry career as Director of Sales and Service for ophthalmic instruments at Beitler McKee Optical Company, a wholesale lab in Pittsburgh. He soon became Vice President of Lab Operations and Sales and, in 2004, was appointed President and CEO. He continued in this role after Essilor acquired the lab. Hughes later held various executive positions in operations and sales, including as Vice President and GM Northeastern Partner Labs for ELOA. Hughes holds a bachelor’s degree in Economics from Furman University and an MBA from the University of Pittsburgh. “Rich’s background of running a wholesale laboratory combined with his broad experience in sales and operations make him an ideal match for the role of President Satisloh North America. We are thrilled to have him on board,” said Lothes. “I am eager to get to know Satisloh’s customers and to partner with them on future endeavors. It’s exciting to join the Satisloh team and contribute to future successes by continuing to deliver the very best in products, services, and solutions to the market,” said Hughes.